Manufacturers, Distributors, Service engineers of Shoe Shining Machine, Shoe polishing machines, Shoe shining machine spares, low price shoe polishers in Chennai, Tamilnadu, India. 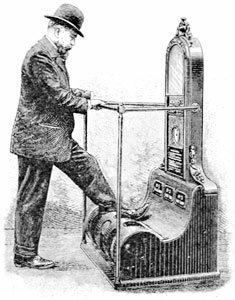 History of Shoe Polish and Shoe Shining Machines. If you ever had an idea of Shoe shining to be a modern day invention – think again, Shoe Shining and use of Shoe polish dates way back to medieval times, when humanity started using leather. Shoe polish was invented in Poland and hence the name Polish. The first shoe polish brand Punch was introduced in 1851, and that was nearest to the quality of modern day polish was introduced by Kiwi in 1904. Though Shoe polish was in high demand during the periods of World War, where soldiers needed to maintain and shine their boots, the use of shoe polish declined in later period. But now with the invention of Automatic shoe shiners and Electrical shining machines – shoe polishing has become more convenient and necessity of modern man. Shoe shining machines automates the process of adding shoe polish and buffing. We offer various range of products for both home and public use. Usual shoe polishing machines comes with at least two automatic brushes and dispenser for polish. The size, look and build of the machine may vary according to the requirement and usage frequency of the machine. Shoe shining machines for home use are simple in design, consisting a stand and two rotating brushes in an open ended cabinet onto which the shoe is placed, also available modern shoe shiners with polish dispensers and textured mats to remove refuse from shoe bottoms. Our strong presence in Indian metropolitan cities in the supply, distribution and installation of shoe shining machines has made us the leaders in Shoe shining machines.